The 1990s began with record interest rates in Britain, misery for homeowners, the poll tax, and a threat to the nation's currency. But along with the financial crisis came feats like the Channel Tunnel and musical movements like Brit Pop, and the country was reminded that some things are more important than money after the death of Diana, Princess of Wales, which provoked an unprecedented outpouring of national affection. 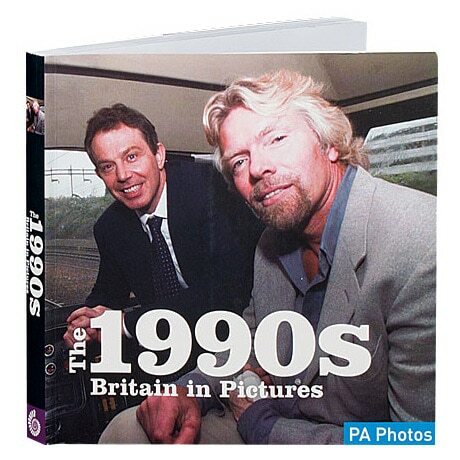 This book illuminates the era in some 300 captioned photos from the archives of the Press Association, founded in 1868 as Britain's national news-collecting and reporting service.